I love to bake all kinds of things, but I probably bake more cookies than anything else. I just love to see a big batch of perfect cookies cooling on my kitchen counter! As we enter serious cookie baking time, I’ve put together a list of ten of my favorite tools for making cookies. Get your gear together and let’s get baking! 1. I have lots and lots of mixing bowls in different sizes. I prefer deep mixing bowls because I feel like I make fewer messes that way. I also like bowls with a non-slip bottom or to place a small silicone mat under the bowl to prevent slipping. Mixing bowls are available in a variety of materials, like stainless steel, glass, and melamine. I mostly have melamine bowls, but that’s just my preference. Use whatever you prefer. If you do a lot of baking and need several mixing bowls like I do, the kind that nest are great for saving cabinet space. 2. While it’s not necessarily essential, I rely pretty heavily on my digital scale. I love using mine for two reasons. First of all (and most importantly) is the accuracy and consistency of measurement a scale provides. Secondly, I use fewer bowls and measuring cups by weighing even some of my ingredients. 3. I have several sets of measuring spoons and measuring cups. Most any kind will do. Just be sure you can easily level them across the top. The OXO measuring cups pictured here come with a handy leveling tool attached. 4. Probably the most used tool in my kitchen is my KitchenAid 9-speed hand mixer. This thing really gets a workout in my kitchen. 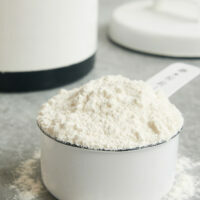 I usually prefer to use it versus my stand mixer because there’s much less chance of over-mixing doughs and batters because I’ve walked away from the mixing action. 5. I have an entire utensil jar in my kitchen dedicated to spatulas and spoonulas. These Le Creuset spoonulas are among my most used for stirring add-ins into cookie dough. 6. Ah, my beloved cookie scoops. I mostly make drop cookies, so these little guys are invaluable. Sure, having a batch of cookies all the same size is visually appealing, but it also means that they will all bake the same. I have different sizes of scoops, ranging from 1 tablespoon up to 4 tablespoons. For more about my love of cookie scoops, see A Baker’s Guide to Cookie Scoops. 7. I can’t really say that a cookie spatula is absolutely vital to cookie baking, but I find that I use mine quite a bit. There’s the obvious use of transferring cookies from baking sheets. 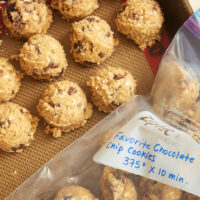 But they are also useful for those times when you need to flatten cookie dough before baking. 8. I forget when I first discovered silicone liners, but it was love at first use. These liners fit inside baking sheets and serve a couple of purposes. First of all, they help ensure even browning of your cookies and help prevent over-browning of the bottoms of your cookies. They also keep your baking sheets clean. The liners themselves are easily cleaned with warm water. 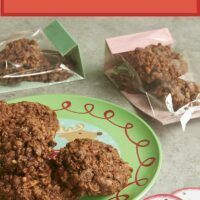 Parchment paper is nice, too, but silicone liners are wonderfully reusable. They’re durable, too, as I’ve had mine for several years. 9. 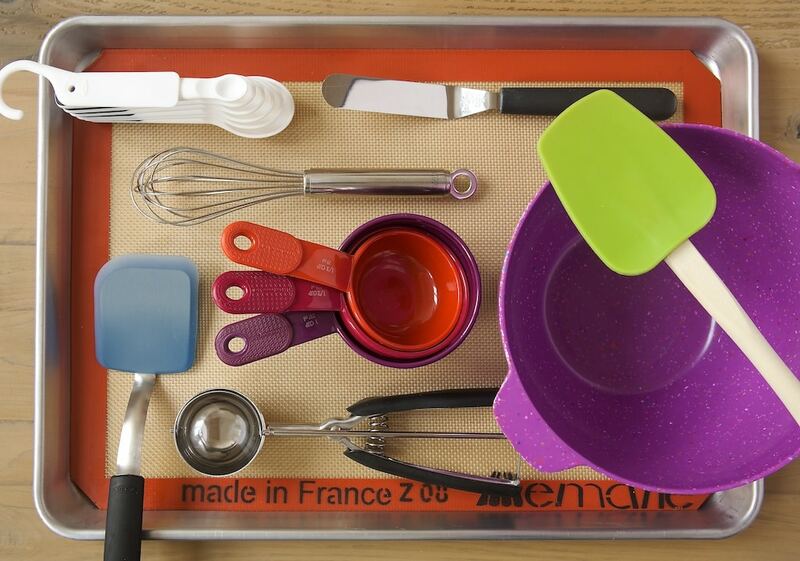 Choosing baking sheets is one of the most important things when it comes to baking cookies. I have a few, and I think they’re each a different brand. I haven’t found a brand that I absolutely recommend, but I do have some things I look for in the pans. I prefer half sheet pans that are sturdy and light in color. If you remember nothing else I tell you, remember that dark pans will bake cookies faster than light pans. That may be fine, but it may also result in over-baking the bottoms of the cookies. For that reason, I use light baking pans and cookie sheets. I recommend having at least two pans so you can bake bigger batches of cookies more easily. I have three, and I rarely find that I need more. 10. Wire racks come in so handy with almost everything I bake, but especially with cookies. After your cookies are baked and have cooled for a few minutes on the baking sheets, you can transfer them to wire racks so that they can cool all over. The grid design of the racks allows air to flow all around the cookies so that they cool quickly and evenly. I have two cooling racks, although you can usually make do with one unless you’re baking big batches of cookies. 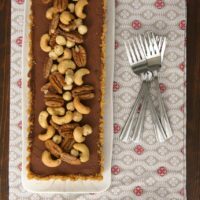 Of course, depending on what kinds of cookies you’re baking, you may find you need other tools like a nut chopper, cookie cutters, a rolling pin, or even just a chef’s knife. I’m also pretty fond of my small wire whisks for combining dry ingredients and offset spatulas for spreading fillings and frostings. 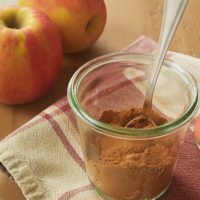 What other tools do you find invaluable for baking cookies? I’ll have some great new cookie recipes coming your way for the holidays. 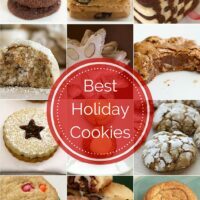 Be sure to browse all of my cookie recipes for some baking inspiration! My favorite cookie backing tool is the Silpat liners. I’ve had mine so long that I don’t recall when I got them. I have several sizes as they came as a set. My other favorite tool, actually tools are the scoops. I like them because the cookies come out the same size which I find most attractive. And they cook more evenly because of that. And, don’t forget the rubber or plastic spatulas. A must.